This post is an update, if you will, on a recipe that I made last year. Let me re-phrase that. It’s an update on garlic that I preserved last fall and I’m now getting around to opening a jar of the preserved garlic for sampling. Forward wind to this post. Read on for the results of our garlic experiment. 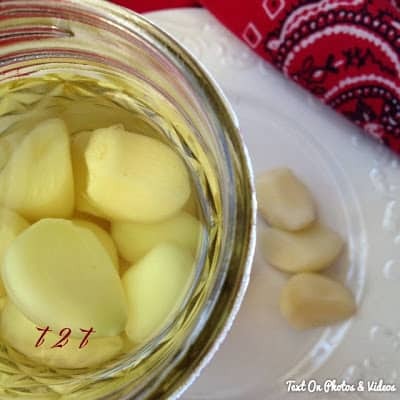 Last summer I preserved garlic for the first time. 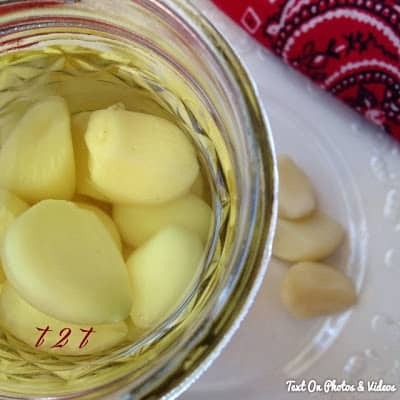 I recently opened a jar and I will admit, it was the best garlic I have ever tasted. The garlic had a slight vinegary taste and was very pungent. Unbelievably fresh tasting, the garlic cloves were crisp and firm. would be peeling the garlic. Other than that, I would definitely preserve garlic again and again. As I stated above this was my first time preserving garlic and it definitely won’t be my last. 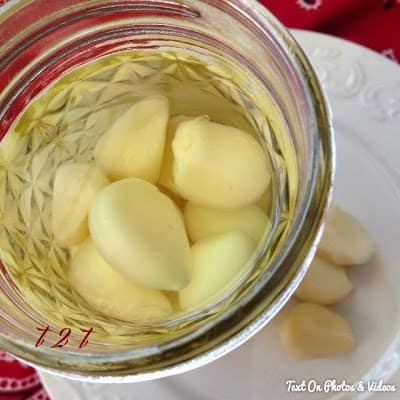 Not only did the garlic get better with time, along with the vinegar that preserved the garlic, refrigerated the garlic will keep at least a year and a half. That’s how long it stayed “good” in my refrigerator. I have two refrigerators, one that we use strictly for pop, beer, water and the like and that is where I kept the jars of garlic, actually out of the way in one of the door compartments. 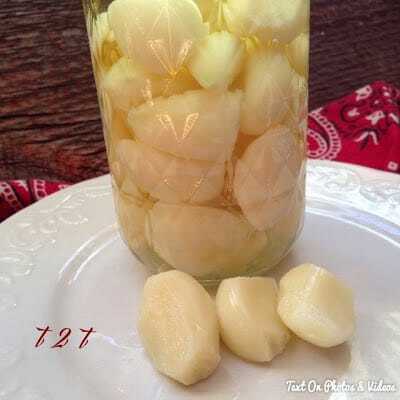 I understand that you might not have the extra space to store many jars of preserved garlic in your refrigerator but make as many jars as you possibly can store. You won’t be disappointed. I've always been a little afraid of preserving food. One day I will be brave!